Become expertly versed in wireless networking technology. The is the ideal training course for those who are looking to begin a career as a Wireless Network Engineer. 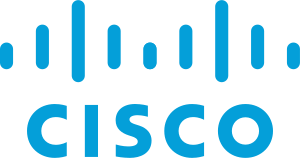 The Cisco 200-355: Implementing Cisco Wireless Network Fundamentals training course is designed to provide you with knowledge of Radio Frequency and 802.11 technology essentials. You will also gain the skills necessary to install, configure, monitor and perform the basic troubleshooting tasks that are necessary to support enterprise wireless networks in small to medium-sized organisations. This Wireless Network Engineer training course will provide you with a solid foundation on which to build your Wireless networking career and will teach you how to work effectively and efficiently in your field. The knowledge and skills gained from this course are highly beneficial to anyone who is interested in IT. This is a base level certification and will validate your wireless networking knowledge relating to Cisco networking systems and the associated equipment. The Cisco 200-355: Implementing Cisco Wireless Network Fundamentals training course is ideal for those who wish to gain the entry-level knowledge and skills relating to wireless networking. It is also valuable for those who are looking to gain certifications that will validate their existing IT experience.